Saturday night show at Kino Cafe was amazing! 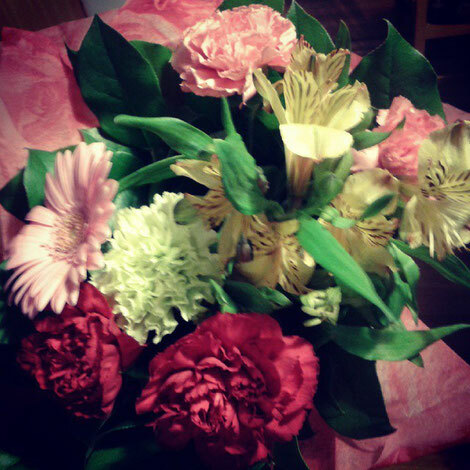 The crowd really loved it, they loved it so much that we got flowers from two lovely fans! We had two guests with us, singer Don Jose Lara and dancer Maria Avila ! They both made it a really fun night. So happy to work with great local talents ! Come back every Wednesday and Saturday night for some flamenco fun, show starting at 8 pm in October ! Fantastic goods from you, man. I have understand your stuff previous to and you are just too excellent. I really like what you've acquired here, certainly like what you're stating and the way in which you say it. You make it enjoyable and you still take care of to keep it sensible. I can't wait to read much more from you. This is actually a wonderful web site. Hurrah! At last I got a blog from where I be capable of truly take helpful facts concerning my study and knowledge. wonderful publish, very informative. I wonder why the opposite specialists of this sector do not realize this. You should proceed your writing. I am confident, you have a huge readers' base already! I've read some excellent stuff here. Definitely price bookmarking for revisiting. I surprise how much effort you place to make this kind of magnificent informative site. Having read this I believed it was rather enlightening. I appreciate you finding the time and energy to put this content together. I once again find myself spending way too much time both reading and leaving comments. But so what, it was still worth it! An outstanding share! I've just forwarded this onto a colleague who had been doing a little homework on this. And he in fact bought me lunch due to the fact that I discovered it for him... lol. So allow me to reword this.... Thank YOU for the meal!! But yeah, thanks for spending time to talk about this issue here on your site. hello!,I like your writing so so much! proportion we be in contact more about your post on AOL? I require a specialist on this area to unravel my problem. May be that is you! Taking a look forward to see you. Do you have a spam issue on this site; I also am a blogger, and I was curious about your situation; many of us have developed some nice practices and we are looking to swap strategies with others, please shoot me an e-mail if interested. What's up it's me, I am also visiting this web page daily, this web site is genuinely pleasant and the visitors are in fact sharing pleasant thoughts. Asking questions are in fact pleasant thing if you are not understanding anything completely, except this article presents good understanding yet. Hi colleagues, nice post and good arguments commented here, I am actually enjoying by these. Wow, this piece of writing is good, my younger sister is analyzing such things, so I am going to let know her.